This lovingly furnished apartment over 2 floors is located in a very quiet location. 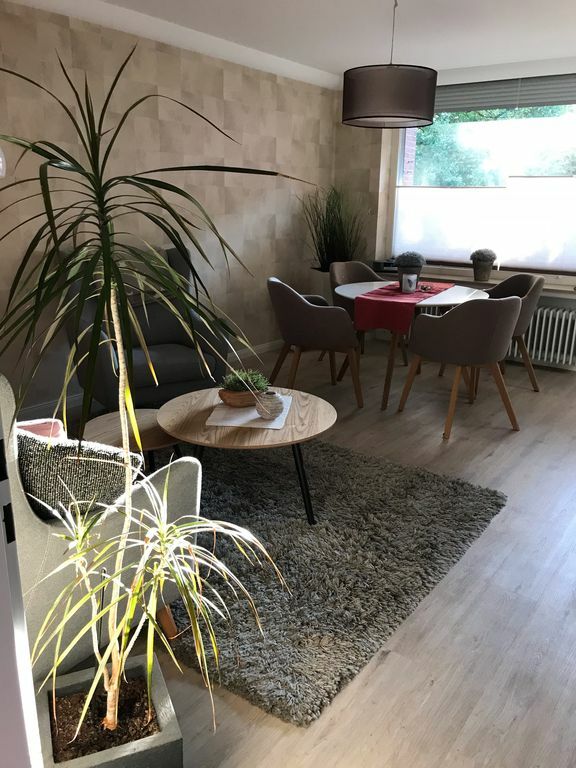 It has a living space of 89sqm, in the upper area there are the kitchen with dishwasher and seating, a bathroom with shower and a large living room adjacent to the balcony, the apartment is facing south, so you can enjoy the sun on the balcony. In the lower area there is a children's room with bunk beds, another toilet with washer and dryer and a master bedroom. The center of Bad Zwischenahn reach in about 10 minutes, the bath Zwischenahner sea is about 500 mtr. away, bakers and doctors can be reached by car in 2 minutes or walk in about 5 minutes. The apartment Reuter - is located near a small park with a pond where you can stay! A bus stop to possibly other places to drive is a street further and within walking distance, so you do not necessarily depend on the car, especially since everything else on foot. New - The apartment has Wi-Fi !!! There is a bathroom with shower and toilet and a guest toilet with washer and dryer in the lower area. Arrival from 4 pm - departure by 11 am. We had a great stay in this vacation home! The house is beautifully decorated and well equipped. We had a great stay in this vacation home! The house is beautifully decorated and well equipped. The location is also great, a perfect area for walking or biking around the lake as well as in nature. Thanks for having us stay here! Apartment in very quiet surroundings Zwischenahner near the bath sea.